We pride ourselves in offering you a relaxing, warm and positive environment to begin your healing and wellness. Our team looks forward to meeting you and welcoming you into our practice community from the moment you enter our front door. When you first arrive you will be greeted with a smile and a welcome by Pat. Paperwork will be provided as you sit and relax in our inviting environment of soft music and essential oil aromas. Once paperwork is complete, you will meet with Dr. Angie to discuss your health history, current concerns and health goals. Next, we’ll perform an in-depth nervous examination to locate subluxations, or misalignments, in your spine. The MyoVision surface electromyography (EMG) scan allows us to understand areas of malfunction in your muscles. Finally, Dr. Angie will take all the data gathered, analyze and assess the data, to begin talking about a personalized care plan unique to your health and goals. Please allow 20-30 minutes for your first visit. Before leaving the office you will confirm your next appointment day and time at the front desk. 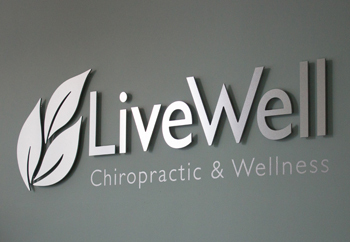 Upon your return, you’ll meet with Dr. Angie to talk about chiropractic care, what we do and how we can take care of your problem while improving the function of your body. We’ll detail the results of your scans, going over our recommended care plan, reviewing costs and financial options. Typically your first adjustment will be performed on day two following the agreed upon care plan. We are always mindful of your time and want your appointments to fit conveniently into your day. Regular visits consist of checking in, an adjustment by Dr. Angie, and checking out. Each scheduled appointment takes approximately 10 minutes. Appointment scheduling allows for little or no wait time for prescheduled appointments. To schedule your first appointment, contact our office today!